At the end of the Chennai performance of ‘The Prophet’, the music composer, Rajkumar Bharati, gave a short impromptu speech, where he commented on how he was challenged to stretch his boundaries for the work he did for ‘The Prophet’, by looking at genres of music he had never paid attention to before. For us, this was a moment of great pride and validation as it wasn’t just us on a learning curve, but every member of our team as well. ‘The Prophet’, since its debut in Bangalore last October, has played at various cities and venues. While opinions varied on what part the audience liked the most, there was unanimity in the applause. ‘Soul Cages’ and ‘YUDH’ have brought us to be seen as intense story-tellers; ‘The Prophet’ was considered nothing short of visceral. The audience have been very diverse – connoisseurs of the art-form in Chennai and Mumbai, students on an NID campus in Ahmedabad, the young IT professionals of Bangalore and Hyderabad.. they were all shaken by the experience. When we performed YUDH at Kala Ghoda Festival in Mumbai yesterday, exactly a year after its première, we realized that we had been on a learning curve through each of our productions. At the summit of each curve, we find the beginning of another. In essence, the innovation has no end. For us, each project has proved to be a bigger challenge than the previous one. And our next one, which we have started discussing in earnest breaks the mould again by stepping out of the genres and modes of narration we have engaged in thus far. It is a feeling akin to just being able to continue swimming even as the tides continue to rise. The difference being, the artists themselves define the height of the tide. The most common, and often the most fatal error occurs when the artist summits the learning curve and learns to live there, safely ignoring the other curves to be climbed. 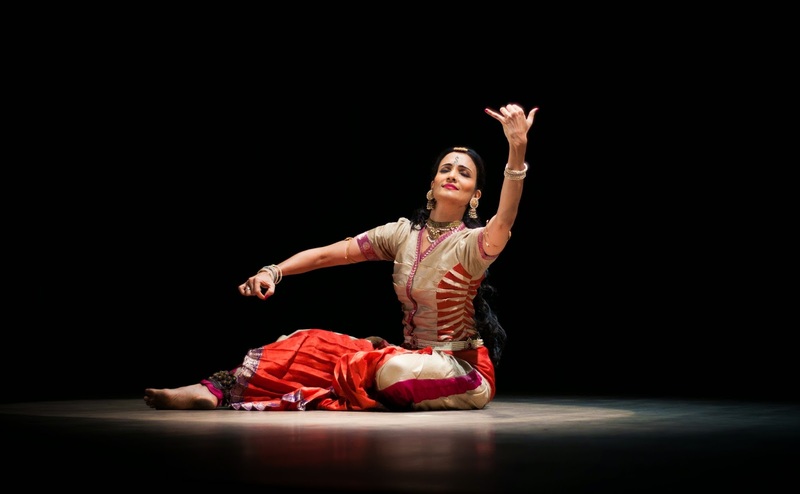 That leaves us in a state of stagnation – the state Bharathanatyam has languished in for over 100 years now! When we say this, defensiveness kicks in an auto-response – “Oh, but traditional concerts do get huge crowds (really? )”, “We do change things around with new songs and new emotions”, or at the most “We are telling you a new story – Mahabharatha as seen by Nakula!”. The question to be asked here is – how new is new? The Mahabharatha is the same whether it be told by Vyasa, Draupadi, or Nakula. There is no end to the number of perspectives that one can present given the thousands of characters that populate that drama! But is this really change or even innovation? Truth is, “innovation” such as the one above is an excuse for self-aggrandization. At the end of it, it is still all about ‘how well I dance’ rather than ‘what did I convey in my content that was novel’. In technical terms, whether it be the dancers or the art critics, it is the technique that is dissected, not the content. The day the entire spectrum decides to shift the spotlight from themselves as dancers, to the content of the production, in other words, go from ‘dancer-centric’ to ‘content-centric’, is the day the art form can evolve. That is the day when audiences will throng auditoriums, and I mean a much larger number than the microscopic percentage of Indians that currently attend these shows. Any other form of art, be it literature, cinema, music, or fine arts, judges the work and its content. If a Charles Dickens were to write today, he would still be judged on the content and not how he looked when he wrote it! Why should we dancers be any different? From the times of our first production ‘Soul Cages’, until now, we seem to be looking over the edge of a precipice. The idea of completely re-inventing every layer, every aspect of the art and the performance of it, is all that matters. Sure, sometimes we will fall, and at other times we will soar. But we are not sitting complacently. We owe this to our audience.